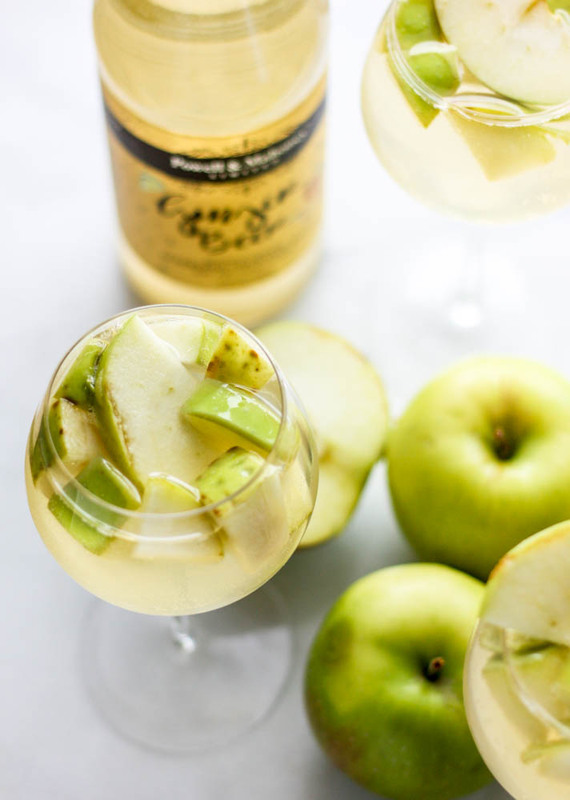 Sipping on this Sparking White Apple & Ginger Sangria is sure to be a favorite of all of your guests this fall! 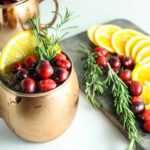 This post was sponsored by Powell & Mahoney Craft Cocktail Mixers. As always, all opinions remain my own and I choose to only work with companies that have missions that align with mine. Thank you for supporting the growth of Miss Allie’s Kitchen! The idea of sangria just speaks to me. You take one of my all-time favorite beverages, wine, add fruit, more flavor, and sip away. I’m also into the fact that you really can’t make GOOD sangria for just one person. Why? 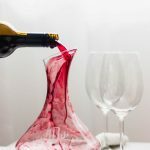 Because good sangria needs to sit a while before drinking to maximize flavor…and you can’t just not use the whole bottle of wine when preparing it! 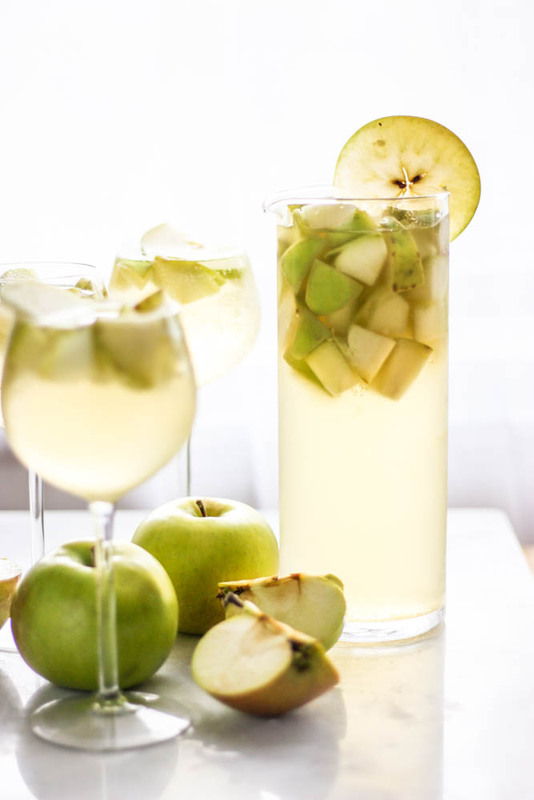 Sangria is a party in a pitcher and we’re spicing up the mix with white wine, apples, and sparkling ginger beer. 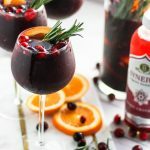 I love a good, strong red sangria filled with robust red wine and a healthy glug of brandy. 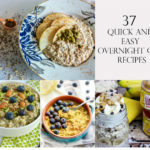 But as we ease into fall, I thought it would be nice to make something lighter and more effervescent. 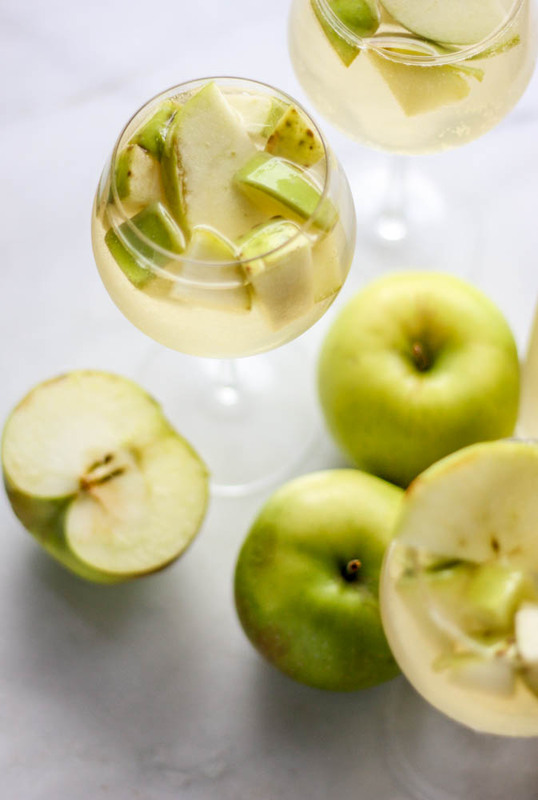 When making a batch, we let the wine marry with the apples, fresh ginger, some vodka and a bit of triple sec. 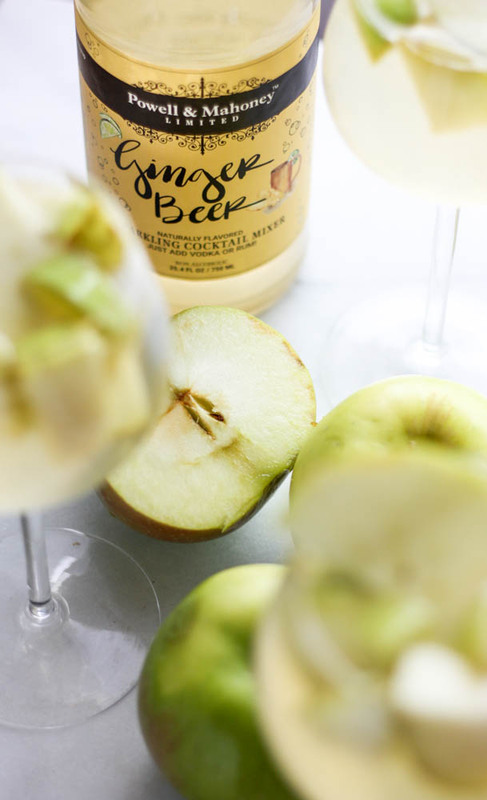 BUT, the real magic happens when we top the wine mixture with bubbly ginger beer. For the sparkle, I used Powell & Mahoney’s Ginger Beer, which I love because of the natural ingredients, including real ginger and orange peel. Their craft cocktail mixers are always JUST the thing when I’m entertaining. 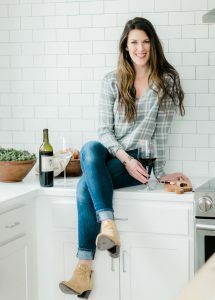 Let’s get to it & if you create it in your kitchen, be sure to tag Miss AK and Powell & Mahoney using #MissAlliesKitchen & #CraftYourCocktail! 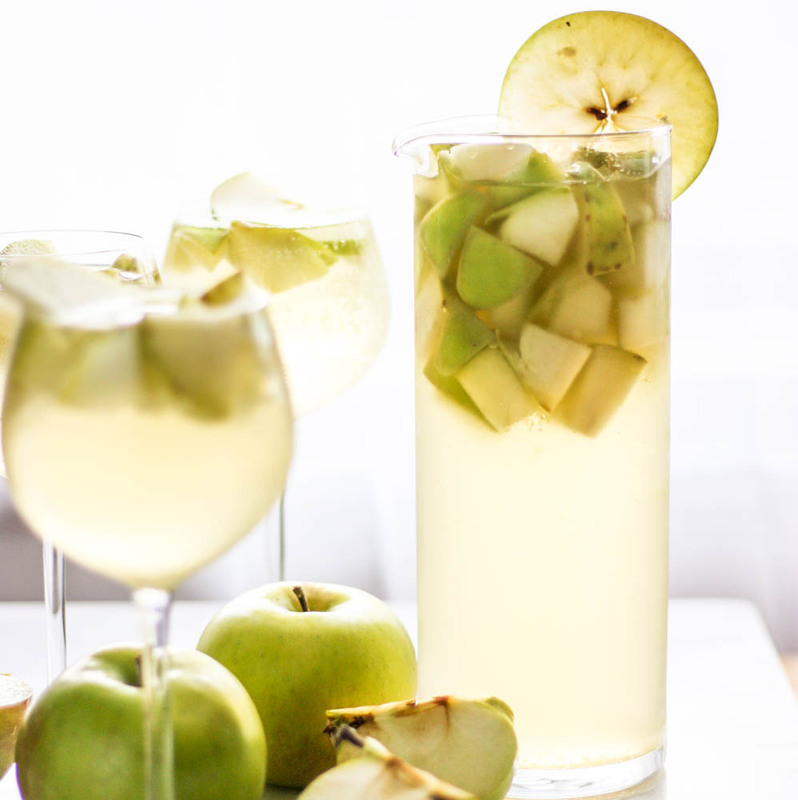 Add the wine, diced apples, grated ginger, vodka and triple sec into a large pitcher or glass jar. Cover and set in the fridge for at least 6 hours, but up to 3 days. When you’re ready to serve, ladle out 1 cup of the wine mixture and top with 1/2 cup of ginger beer to make 1 serving. Cheers & happy fall y’all! 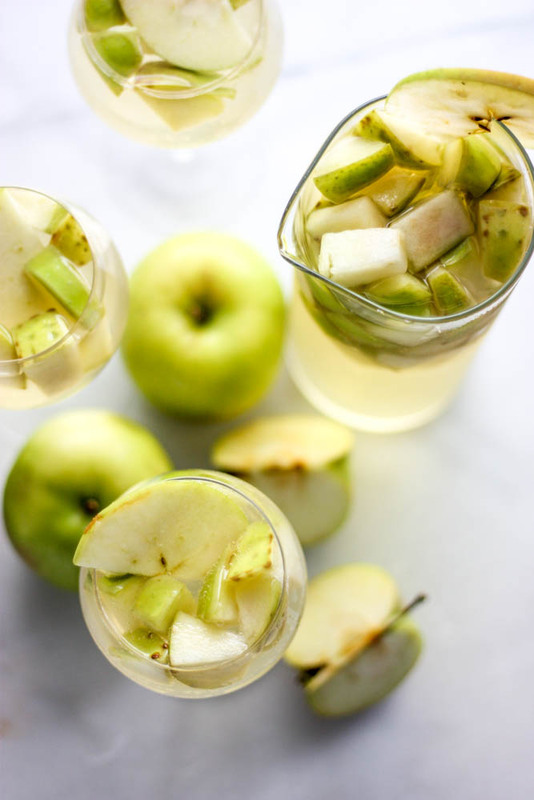 Add the wine, diced apples, grated ginger, vodka and triple sec into a large pitcher or glass jar. Cover and set in the fridge for at least 6 hours, but up to 3 days. When you’re ready to serve, ladle out 1 cup of the wine mixture and top with 1/2 cup of ginger beer to make 1 serving. this looks great Allie! and LOVE your new blog design, I use the same theme and love it! white sangria with apple and ginger, you’re speaking to me sister! looks fab! I’m usually a red wine drinker in the colder months, but I’d happily sip on this! Same girl! Red wine all the way in the cool weather, but I love this for a transitional party!